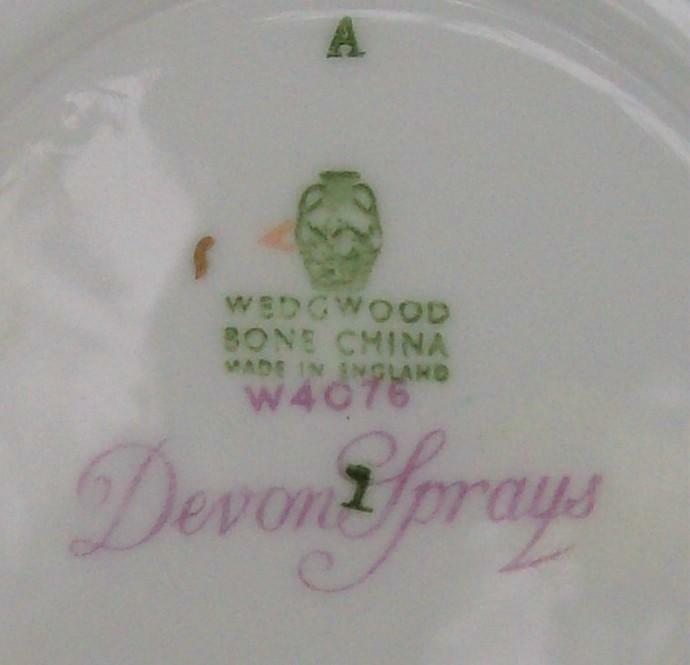 Wedgwood "Devon Sprays" bone china tea cup. Pattern W4076, dates from 1949-65. Metallic gold trim. 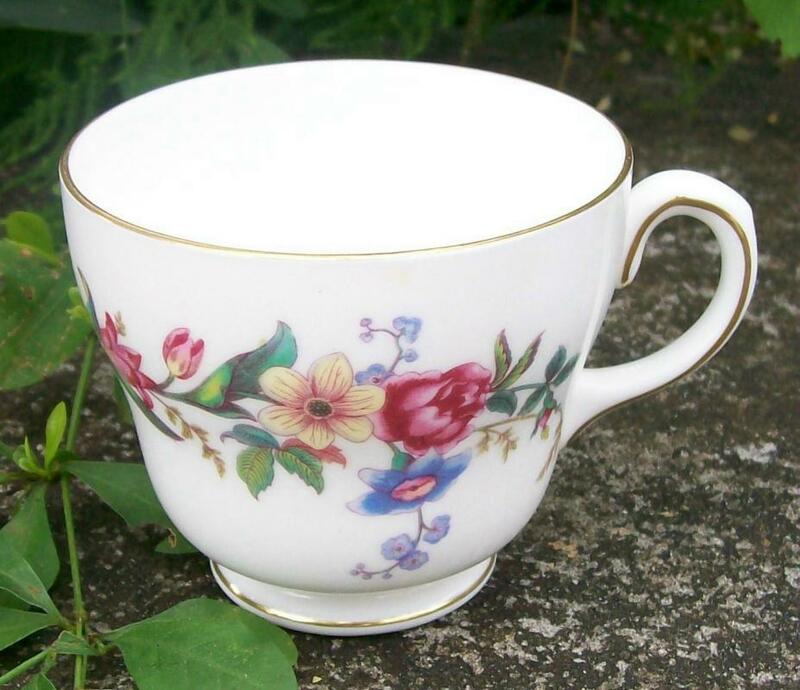 Measures 3.25"d x 2.75"h. No chips or cracks, only light use scratches. Have2, priced separately. Sorry, no saucers. 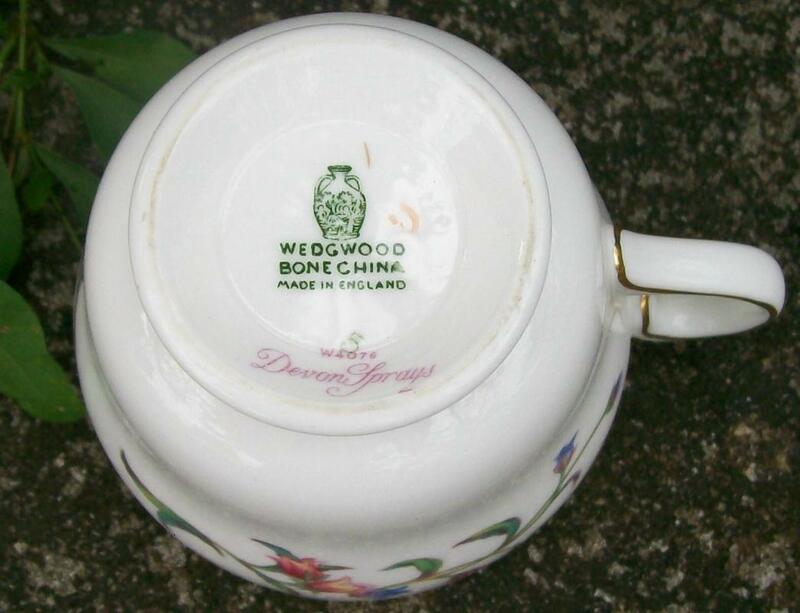 Inglenook Antiques...Established 1989. 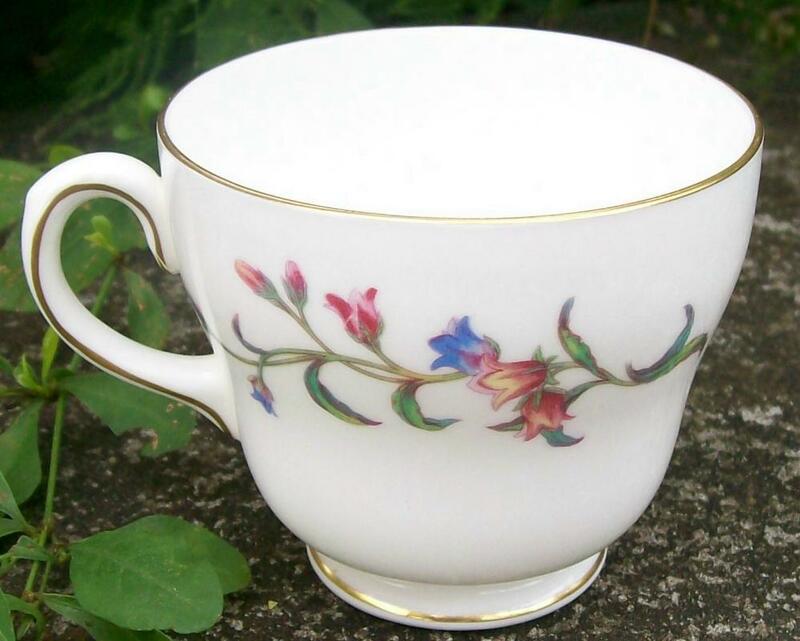 Items Similar To "Wedgwood "Devon Sprays" Bone China Tea Cup Multicolor Floral"